I love movies, I don’t go to movies, in fact the last movie I went to was Shrek 3 with my kids, but I still do love movies. I would much rather wait a few months and buy the movie on DVD or Blueray, that way I can watch it anytime I want, as many times as I want. The only problem with buying movies is changing formats. I had a very extensive VHS collection that had to be replaced with DVD’s, and even though Blueray players are downward compatible ( meaning they can play DVD’s too ), eventually they will get replaced with something else. I wouldn’t exactly call myself a collector, even though I probably have over 1000 movies, and several TV shows and events ( like the UFC ), on DVD and Blueray. Enough that I could watch a different disc every day and it would take about 5 years to watch them all without ever watching the same thing twice. Which sounds like a lot until you realize that Hollywood alone produces about 500-600 movies every year. So I consider myself to be a selective collector at best. The worst thing about knowing that 1ooo’s of movies are produced each year around the world is realizing that you definitely are missing out on some great movies, that you would love to watch and have, but you know you never will. But you do come across gems like Treed Murray once in awhile. It took me awhile just to buy the Transformer movies, I wasn’t into talking machines that could transform into vehicles, it just wasn’t something that interested me. But eventually I did, and to my surprise I actually liked them. I don’t consider them ‘ WOW ‘ movies, but they were ‘ OK, this isn’t as bad as I thought it would be ‘ movies. A ‘ WOW ‘ movie is something you can watch several times and still be into it, an ‘ OK ‘ movie is something you watch then it goes into your closet, you enjoyed it, you’re glad you bought it, but you’ve moved on. All the Transformer movies I would put in that category. Until Bumblebee. 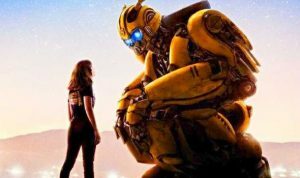 Bumblebee is a ‘ WOW ‘ movie. I thought the expressions, the comedy, the fight scenes, and the general story line was spot on. More than worth my $32.00 for the Combo pack ( and trust me most are not ). 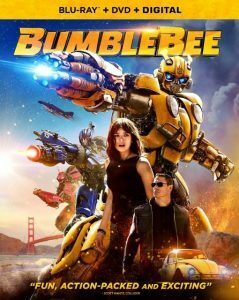 The expressions, movement, and empathy, of the Bumblebee character were both amazing and at times hilarious.